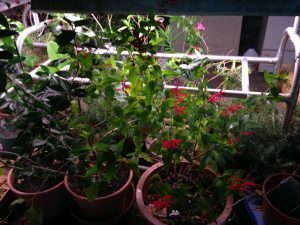 Since I just brought in a lot of plants for winter, I have been getting questions about how to help them make it through winter. I have an ideal set up at my house. I have a basement and two large grow carts, so my plants are in a good environment for them.The basement will be more humid than the rest of the house. Since Ohio winters have little daylight, the artificial light makes a big difference. An added advantage is I will be able to harvest fresh herbs all winter. You can keep plants alive in your house, outside of the basement, but it is trickier. Creating the right environment it critical to the survival of any plant. In the winter this is a little harder than during the summer. Still, with a little planning you can have plants that will last for years. Pick out plants that are likely to be happy in your home. Remember, your plant has probably come from a greenhouse under ideal conditions, or it has been outside, getting plenty of natural light. It is normal for new plants to go through a period of adjustment. Pick plants with low-light requirements if your home does not have a lot of windows. If you don’t like to water plants often pick plants like cacti and succulents that don’t need to be watered often. The air in your house will be pretty dry in winter. If you get sparks from static electricity your house is dry. Misting plants will only provide moisture for 30 minutes or so. Place plants on trays, filled with rocks. Then fill the tray with water. This gives your plants moisture. Be sure the plants are above the water level, not sitting in the water. That is the reason for putting rocks in the trays. The plants sit on the rocks above the water. 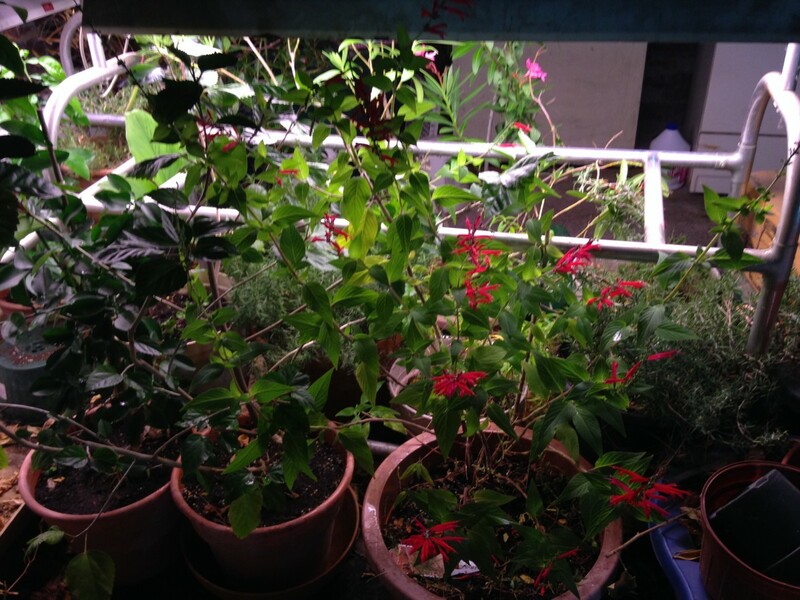 Assuming you don’t have artificial light…..
1. During winter months when light is less, reduce the amount of water plants receive and use little or no fertilizer. 2. Place plants away from drafts and heat sources. 3. Do not allow plants to touch windows. 4. Do not allow plants to stand in water. 5. Keep the humidity up around the plants. 6. Consider supplementing natural light with artificial light. 7. If you set plants outdoors for the summer, bring them in when indoor and outdoor temperatures are the same. 8. Always check plants that are outdoors for insects before bringing in. You can give them a spray of water before bringing them in, to wash off insects. 9. Keep any new plant away from your other plants until you are sure it is disease free. 10. As the days begin to lengthen you can start to use fertilizer again. Again, artificial light is a great idea. If you can’t provide it, then let your plants be semi dormant during the shorter days of winter.